Suwanee, Ga. (July 11, 2012) – Following feedback from Jeep® owners online, Omix-ADA®, a leading manufacturer of high-quality Jeep accessories, today announced the availability of the new, patent pending Rugged Ridge® Modular XHD Snorkel System for two and four-door Jeep Wrangler JK models from 2007-2011 with the 3.8L engine. 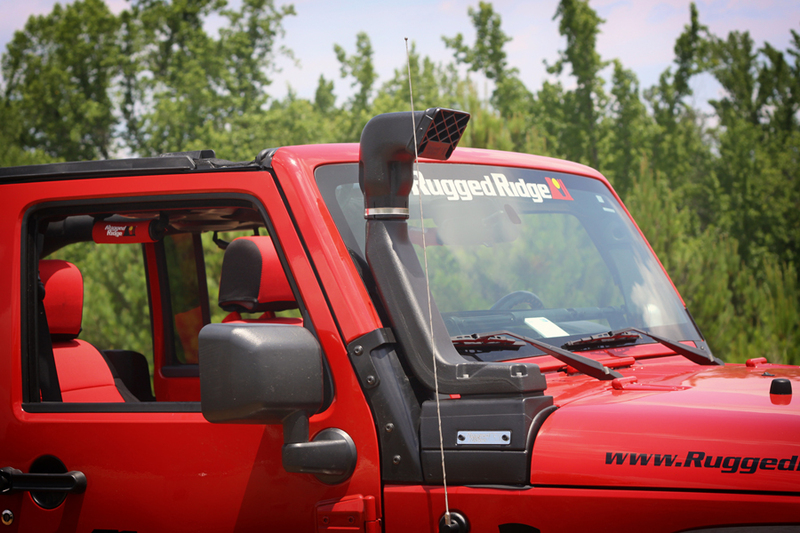 The new Modular XHD Snorkel System from Rugged Ridge is available in easily interchangeable high and low mounts and relocates the vulnerable stock air intake through an internal duct system just below the windshield. This new design provides optimum performance and protection as well as a great, integrated look. Installation requires only minor modifications to the internal fender flange and avoids the major cutting that other kits may require. Featuring the option of a high-mount ‘ram’ design or the standard low-mount intake, JK owners can easily customize the installation and functionality of their new Rugged Ridge snorkel system to best suit the needs and off-road conditions they may face, including tackling harsh dusty trails or deep water fordings. 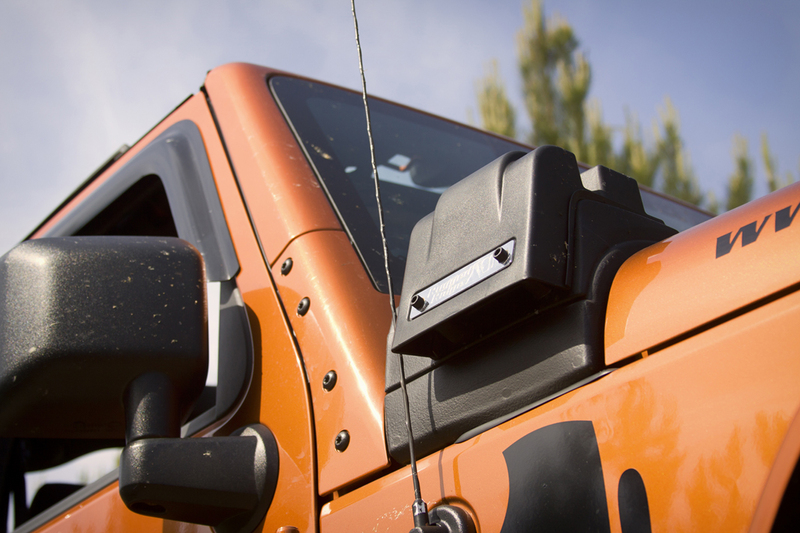 The standard Modular XHD Snorkel System comes with a low-mount intake that is located away from the front of the vehicle, a safer position that prevents dangerous exposure to water during fording of rivers and streams. An optional high-mount ‘ram’ accessory moves the air intake up an additional 21-inches to the top of the windshield for deeper water crossing. The new design also benefits from the ability to draw cool air from outside the hot engine bay. Rugged Ridge’s snorkel is manufactured from durable, heavy gauge plastic, mandrel bent aluminum and high temperature silicone connecting hoses. A built-in valve allows owners to clean and drain a catch basin, preventing water from entering the intake system while out on the trail. 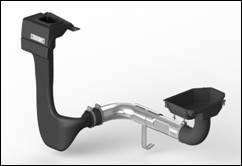 Because this system retains the use of factory style air filters, it is not compatible with other aftermarket cold air intake kits and snorkels. Omix-ADA®, Inc. is the world’s largest independent manufacturer and wholesaler of Jeep®, truck and off-road parts, accessories and floor liners. For nearly two decades, Omix-ADA has designed, tested and manufactured more than 16,000 of the highest quality restoration and replacement parts and accessories. The Omix-ADA family of brands, Rugged Ridge®, Alloy USA®, Outland® and Precision Gear® are distributed throughout the USA and in more than 50 countries worldwide. For more information, please call Omix-ADA, headquartered in Suwanee, GA at 770-614-6101 or visit http://www.omix-ada.com.